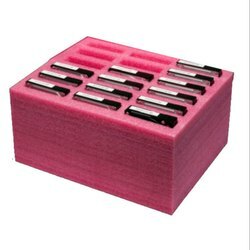 We know how important it is to protect sensitive electronic components from shock and vibration during shipping, making ``perfect fit`` a necessity. To achieve this goal, we offer complete in-house engineering and design using our CAD system and computerized milling. Innovative Pulp Products (india) Pvt. Ltd.
First we vacumize the panel after that we packed in ply wooden packing its price Rs 95/- per cft. As per outer size. Supported by an experienced crew of executives, we are readily engrossed in providing Electronic Product Packing Services. As per the segregated requirements of our clients, these presented services are immensely recommended and acclaimed. Besides this, these could be altered as per the ever varying desires of our patrons so as to accomplish their credibility. For packing electronic items like computers, micro owen, music system etc extra precaution is taken because they are expensive and has zero tolerance to jerks. Packing peanuts and anti-static bubble wraps are applied for packing these frail items. The items are carefully wrapped with the anti-static bubble wrap and then taped. For packing Electronic items like Computers, Micro oven, Music system etc extra precaution is taken because they are expensive and has zero tolerance to jerks. Packing peanuts and anti-static bubble wraps are applied for packing these frail items. 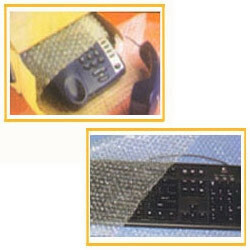 The items are carefully wrapped with the anti-static bubble wrap and then taped.